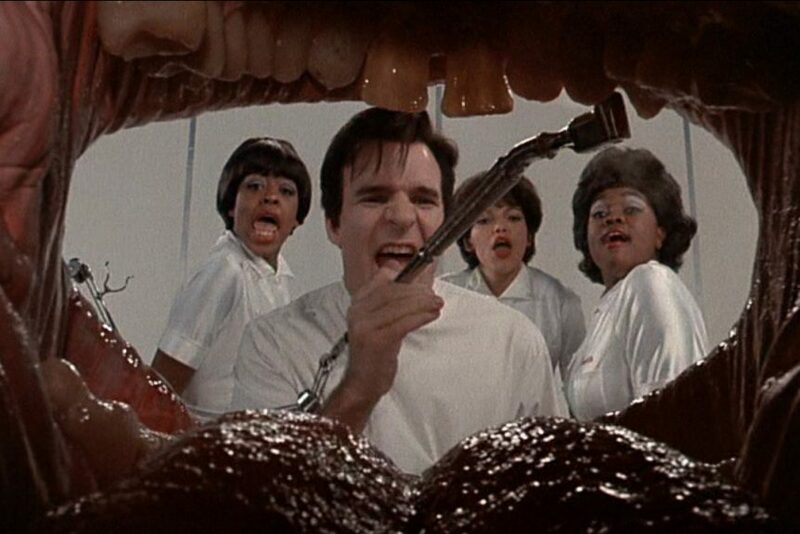 Is there really such a thing as a movie about dentists? Well, there have been a handful of movies that came out with dentists prominently featured in them. And these films show that although dentistry isn’t as action packed as being a cop or a spy, it is just as interesting thanks to how the characters were played by their respective actors. One of the most recognizable films in this list is about Willy Wonka. Now, he isn’t the dentist, but his father is. This lays down the premise of how the character was developed. We learn through a revisiting of his past that Willy Wonka’s dad was an overbearing dentist who was never content with his son’s achievement. So, what does Willy Wonka do? He creates a business that promotes tooth decay and cavities! His dad should’ve thanked him as the number of kids with dental issues probably rose up at that time leading to a huge influx in patients heading for his clinic! The next on the list is Finding Nemo. This is an animated film that starts in Dr. Philip Sherman’s, dental office. Dr. Sherman has a niece who adores fishes but doesn’t know how to take care of them just yet due to her young age. She ends up killing fish on a regular basis which then leads to her crying and her uncle buying a new fish for her to enjoy. This shows that although kids and adults alike are scared of dentists, there are doctors out there who are loving dads and uncles like Dr. Sherman is to his niece! How can Rachel Green ever be portrayed as a Horrible Boss? Well, in this movie, Jennifer Aniston shows a different side of herself by taking on the role of Dr. Julia Harris, a sexually aggressive dentist who constantly harasses her assistant. What do tobacco, alcohol, and HPV have in common? The answer is they are all possible causes of oral cancer. Today we want to share some information that can help you reduce your risk of developing this disease. Here are the preventive steps you can take to reduce your risk. One of those steps is making regular appointments at the office of Dr. Glerum. 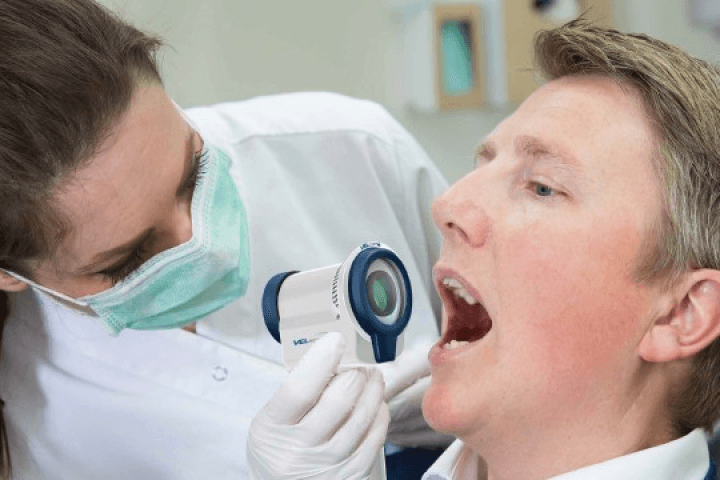 As part of our professional cleanings and examinations, we also provide oral cancer screening. We don’t want anyone who visits our dentist office to have oral cancer, but we also know that early detection will greatly improve the benefits of your treatment. Today, 132 people in the United States will learn that they have oral cancer, according to the Oral Cancer Foundation. Every hour on average, one American will die as a result of oral cancer. This year, experts estimate that more than 42,000 people will be diagnosed with oral cancer. Those who are diagnosed early have an 80% chance of surviving more than five years. On the other hand, 43% of those who are diagnosed in the later stages will not survive more than five years. We will conduct a cancer screening during your routine visits to our office. We also know that a lot can happen between those visits, which is why we want you to know the symptoms, too. You have a sore that does not heal after 14 days. You have discolored soft tissue. This may be red, white, or both. You feel hoarse for a long time. You feel numb in or around your mouth. You have problems moving your tongue or jaw. You feel like you have something stuck in your throat. You have a lump in your mouth or neck. You have ear pain on one side of your face. Tobacco is bad for your health, and it is extremely bad for your oral health. Tobacco is the leading cause of oral health issues in the United States, according to the Oral Cancer Foundation. Cigarettes have been found to contain 7,000 chemicals, including more than 70 that are known carcinogens. While smoking has declined nationwide, tobacco still causes 75% of new cancer cases among people 50 and older. Smokeless tobacco is just as detrimental. One study found that people who used chewing tobacco were 14 times more likely to develop oral cancer than people who do not use tobacco. That risk rose to 50 times more likely for people who had used smokeless tobacco for 25 years or more. Lots of people enjoy an alcoholic beverage from time to time, but heavy alcohol use is the second-leading cause of oral cancer in our country. The National Toxicology Program of the US Department of Health and Human Services considers alcohol to be a known carcinogen. Studies have demonstrated that the more alcohol someone consumes, the more likely he or she is to develop oral cancer. As bad as tobacco and alcohol are on their own, they are even worse when you use them together. Alcohol can cause your mouth to become dehydrated. This makes it more likely that the chemicals in tobacco will be absorbed by the soft tissues of your mouth. Oral cancer cases as a result of HPV infections are on the rise. HPV, the human papillomavirus, will be passed on to 80% of people in the United States, but only 1% of people who are infected will be affected by it. For those unlucky few, HPV can cause oral or cervical cancer. Fortunately, a vaccine has been developed that can protect people against the virus. You should be aware that the vaccine only works if you receive it before you contract the virus. For that reason, federal experts recommend getting vaccinated before you are sexually active. Talk to your doctor to find out if the vaccine could help you or someone you love. Please remember, we provide oral cancer screenings during regular examinations at our office. If you haven’t scheduled your next routine cleaning, contact us to make an appointment. For more info visit dentist in deerfield beach. Have you ever really wondered what dentists do? The dental profession isn’t all about treating cavities or pulling teeth out, there are so many facets to being a dentist that it can be considered an exciting industry, if you really think about it. 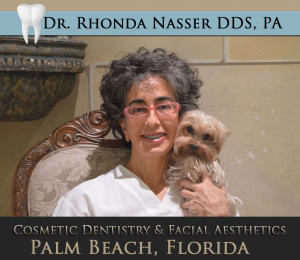 Palm Beach Dentist Rhonda Nasser shares some great general insights into this topic in this article. Enjoy! Dentists specialize in certain aspects of the dental profession. Although everyone is qualified to treat cavities and pull teeth out, some do it with certification and specializations authorizing them to carry out such operations. For example: Periodontics. This is a field in dentistry that not everyone knows about until they realize they might have, at one point or another, gone to visit a periodontist. If you have dental implants, then you might’ve already visited a periodontist without realizing it. Another aspect in the dental industry is prosthodontics. This is the field that is responsible for prosthetic dentistry. If you need implants restored, these are the guys you go to! A more familiar profession under dentistry is the role of a dental or oral surgeon. These are the guys you most probably know. These are the dentists responsible for extractions and general oral and tooth care. There are also positions like that of a dental hygienist and dental assistant. A dental hygienist’s main concern is to promote a cleaner environment within your mouth. So, what these people do is educate people (especially kids) on how to maintain their teeth through proper brushing and flossing techniques. A dental assistant on the other hand takes on a more active role inside the dental clinic by being the second pair of hands a dentist needs. Dental assistants are often dentists in training or interns who are just waiting for their license so they can operate as proper dentists in the future. So, the next time you see a dentist’s assistant, think about how these people eventually end up being the ones taking care of your teeth as your dental surgeon. Dentists don’t just pull out teeth. They too provide information on how to care for them and they provide the medicines to people who need them. In conclusion, there are more reasons to go to a dentist than to be afraid of them as there are more benefits one can derive from seeing their dentist regularly than not! A regular visit every six months or so should help keep your teeth in tiptop shape! So, if you’re going to ask the question what dentists do, they keep your smile on your face beautiful! The doctor who is often visited by most people would probably be a dentist. However, there are people who prefer aesthetics over functionality. Hence, who do you go to for that superficial appearance of your teeth or who do you look for in making your teeth healthier and stronger? That would be a Cosmetic and General dentist. But what is their differences? A General dentist usually gives a variety of services in order to maintain your overall oral health. Among these said services include regular exams and teeth cleanings which help you prevent diseases from entering your mouth. He/she is going to give you specific instructions on how you can improve your oral care at home. Another service a general dentist offers is restoration. This includes removal of tooth decay or putting a filling on an affected tooth. He/she also gives treatments for missing teeth, placing crowns, or dental bridges. Next service he/she can offer is cosmetic procedures such as teeth whitening, bleaching, or bonding to name a few. This kind of service focuses more on the appearance of your teeth when you smile. The last one is the overall health care. Some dental problems a person may have can by caused by other parts of the body and vice versa. An example of a health problem which is caused by an untreated dental problem is cardiovascular disease. Bacterial infection in the gums if worsened can enter a person’s bloodstream and travel to the arteries of the heart which can can problems. A general dentist has the knowledge to identify these kinds of problems and are able to give immediate treatment or referral if needed in order to avoid becoming a life-threatening disease. On the other hand, a Cosmetic dentist focuses more on the aesthetic aspect of oral care. They give emphasis on how your teeth will look like when you smile. Although cosmetic dentistry is not really an official specialization, many dentists still promote themselves as cosmetic dentists for the purpose of marketing themselves to patients. Albeit focusing on appearances, these dentists still provide general oral health care services like a general dentist does, but they focus more on the selective or desired services that a patient wants. This means they address dental problems depending on the preferences of their patients. Some of the services they offer include dental implants which are artificial tooth used as a replacement for tooth loss. Another example are crowns and veneers which help a tooth return to its normal shape and appearance or enhance its shape and color. So what is the main difference between a general dentist and a cosmetic dentist? Although both still offer services which can help a patient with his/her oral health care, a general dentist focuses more on treatment and prevention and offers a specific treatment to a patient’s particular problem. In comparison, a cosmetic dentist provides various options on how a patient can treat or prevent oral damage, giving emphasis to how his/her patient’s smile will look like after the treatment. Dental practices can be time consuming leaving little or no time to manage the marketing and communication side of your business. These are two important aspects of your business that should never be ignored to make your overall dental practice a success. We understand that dentist may find business management challenging because there are trained doctors and not managers. For this reasons we have created a dental software that will help you manage your patient relationship, marketing and website. How will our dental marketing software help you? We have a patient relationship management software that will help you in managing your patients. This software helps new patients book appointments with you. The software shows the available dates and this means that a patient can book for an appointment without necessarily visiting your premises. These appointments can be done online any time of the day or night. Our dental software has been designed to send short messages to your clients to remind them of appointments. Patients who are overdue with their appointments will also get short messages through the appointment reminder. The patient relationship management software is designed to continuously keep information flowing between you and your patients. This will manage all your clients information concerning online reports, reminders, complains, compliments and all the information that is being shared between you and your clients. Our integrated dental software helps you in marketing your dental practice. For instance, managed marketing will help you improve your online presence where customers will be able to see you. Managed marketing improves your online presence through linking you with social media platforms like Facebook, twitter, instagram and even google plus. These are popular sites that will give you direct contact with clients and in this way you can showcase your services. A business profile is the first step towards marketing your business. Our dental software will help you create a smart business profile for your dental practice that will be attractive to your customers. A smart business profile will give your clients a clear picture of who you are and what you stand for. Connecting you with the locals. This dental software is able to connect you with the locals who may need your services. This will be done through linking your business through the local business directories for you to be seen by your clients. Our dental software will provide you with a smart website that will be crucial in managing your business. The smart website offer search engine features for clients to search for services. It is search engine optimized meaning that it will appear top in search engine results. The website is well designs with graphics to help visitors understand the content and easily navigate through various areas of the website. The website is linked with all social media sites and has interactive videos to help clients understand you better. Our dental software offers the ultimate solution when it comes to dental marketing. This is because it works as a combination of people, processes and the use of modern technology to bring efficiency in the dental practice. 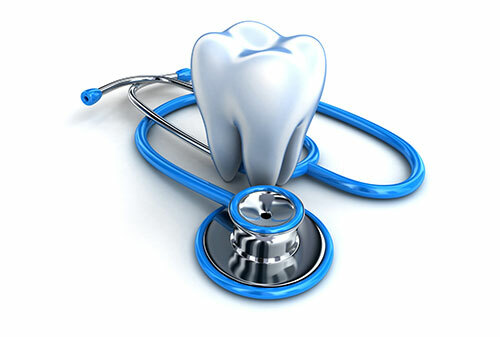 To know more about dental practice you can visit this site! The dental field just like other vocations relies on good marketing to thrive. Adopting a not-so efficient strategy will lead to you losing existing clients to the competition, failing to attract new clients, and also using too much resources. Good software simplifies the process of attracting new customers and retaining existing ones. The technology works by combining different aspects such as Smart Websites, Patient Relationship Marketing (PRM), and managed Marketing Services (MMS). In addition to using less effort and resources you are able to attract many patients. One of the biggest challenges a dentist faces is streamlining the administrative duties. Marketing depends on several aspects such as billing, patient scheduling, record-keeping, results evaluation and much more. Normally, it would mean employing different people to work in different departments. However, this usually leads to using lots of resources, conflicts, overlapping of duties, and much more. 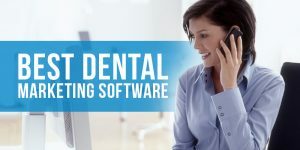 A good dental marketing software reduces the drawbacks and streamlines all the activities such as consultation, registration, billing, patient scheduling, dispensing medication, and payment. Dentistry is a service-based industry and hugely relies on communication. A dentist has to make sure the right information reaches the patient and vice versa. This can also be guaranteed if the channels of communication are straightforward and flawless. Too many barriers and overlaps greatly undermine the authenticity of the information. Good marketing software combines several aspects such as automation of records, timely-capture of information, and effective distribution of data to enhance patient communication services. All this takes place on a single and user-friendly platform. Part of marketing and administration involves gathering data and making sure it is stored securely. The marketing team will rely on the gathered data now and also in the near future. Unfortunately, there is always the likelihood of the data being lost or compromised. Reliable marketing software for dentists is designed to minimize such issues from occurring by automatically capturing information in real-time, creating a backup, and storing it in the most secure manner. The above are some of the notable advantages of investing in marketing software. The best product will come in all-in-one platform that improves marketing, administration, dental patient communication and much more. It also minimizes reliance on third party programs and the user doesn’t have to install additional applications. A dentist will be able to access the marketing software around the clock from any location and at any time. In the long run, the dental marketing software will improve communication, productivity, efficiency, as well as profitability.